Disclaimer: I received this product free to review through a FitFluential campaign. I received no other compensation. All opinions in the post below are mine and mine alone! Since I started my run streak the laundry has increased significantly! Running 7 days a week means lots of dirty, sweaty, and smelly laundry! 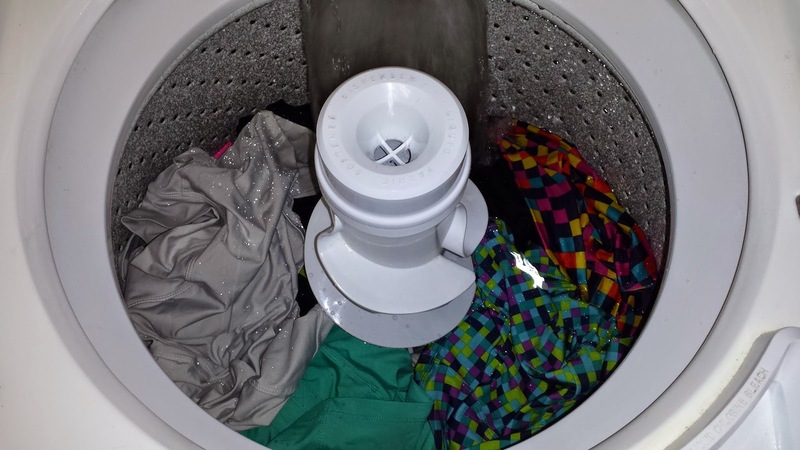 Have you ever washed your running clothes but they still come out of the wash with a "smell" to them? I know I have! I've always wondered why my regular detergent wasn't getting the stinkiness out of my running clothes. Luckily I was able to review a sports detergent made specifically for athletes and their stinky laundry! 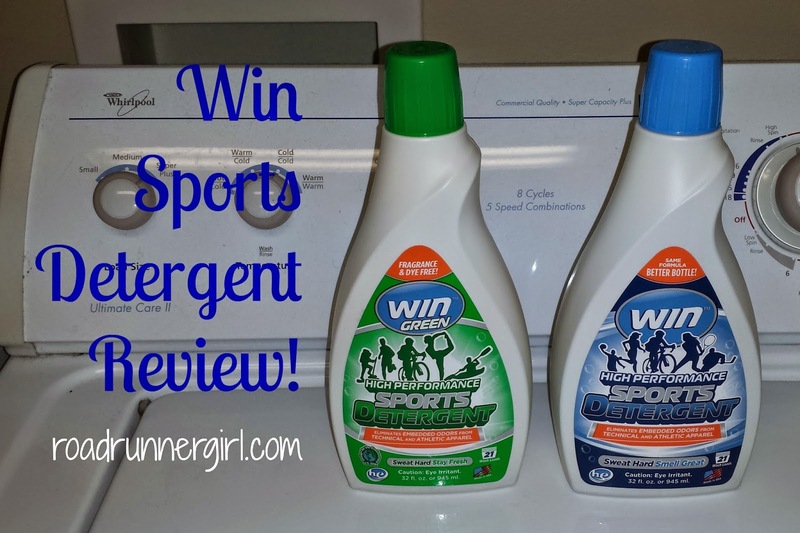 I received two bottles of Win Detergent to review! One bottle was the regular detergent and the second bottle was their Win Green detergent which is dye-free and fragrance-free! Win recommends that you wash your garments on warm and tumble dry on low or hang dry. I wash most of my running clothes on cold so this was different for me. I hang dry my precious running skirts for sure! So here was my test! I filled an entire basket full of my dirty, stinky running skirts, shirts, socks, and sports bras. I tried the regular Win Detergent first. I added the detergent and clothes to my washing machine. I set it to wash in warm water. Clean, baby, clean! When the clothes were finished, I tumble dried the shirts and socks on low and hung up my running skirts to dry. The result???? They actually smelled CLEAN!!! No more of that stinky smell!!! Yay!!! The next time I washed running clothes I tried the Win Green. It did the job but I prefer the regular Win because I liked the fragrance. 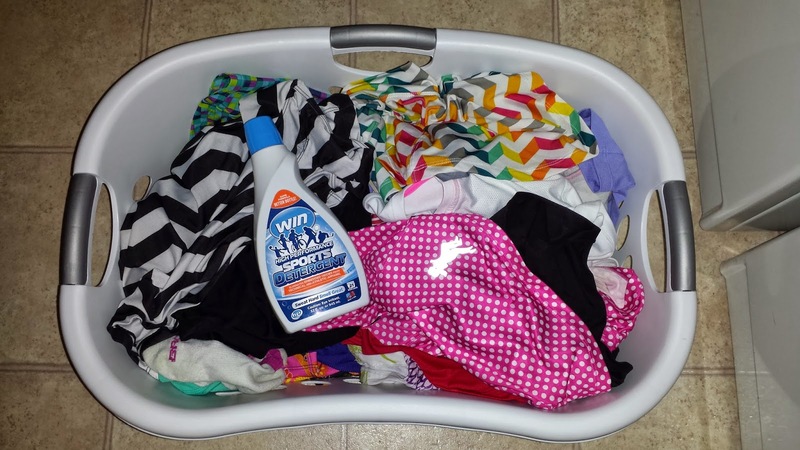 Be sure to check out Win Detergent for all your running and athletic fabric type clothes! I'm a firm believer in this stuff! You can connect with Win on Facebook, Twitter, Instagram, and Pinterest! QOTD: Do your running clothes still smell after you wash them? Have you ever used a sports detergent?